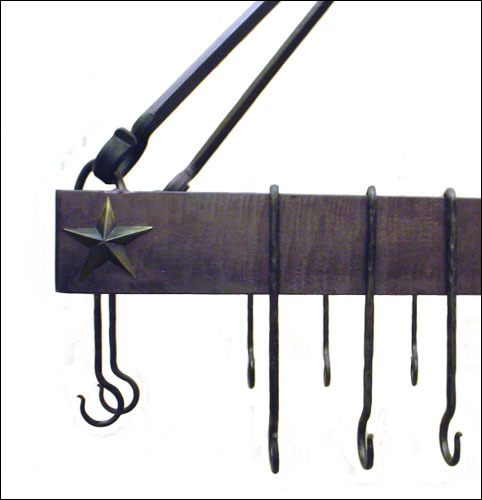 Description: This custom hanging potrack is comprised of forged wrought iron steel. 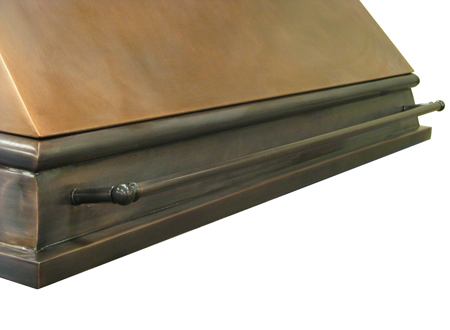 It is shown here with a traditional blackened steel finish, constructed to suspend over a kitchen island. 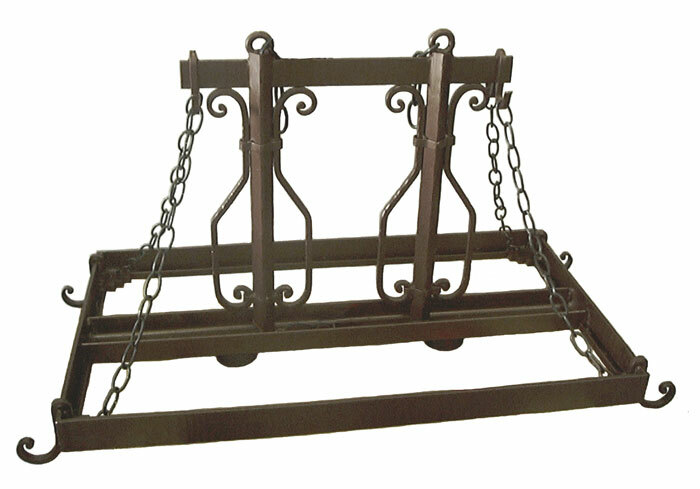 Description: This hanging potrack is hand crafted in forged wrought iron steel. 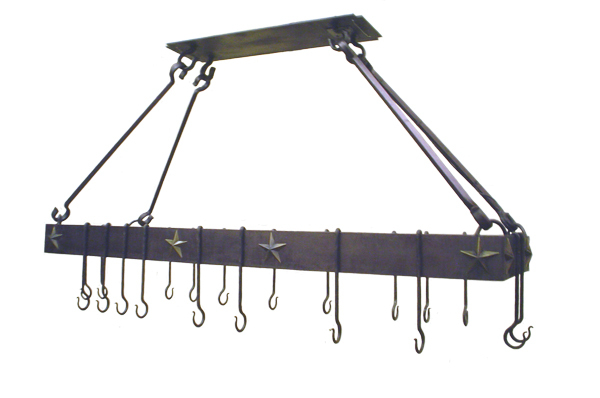 It is shown here with a traditional blackened steel finish and 3 dimensional star accents. 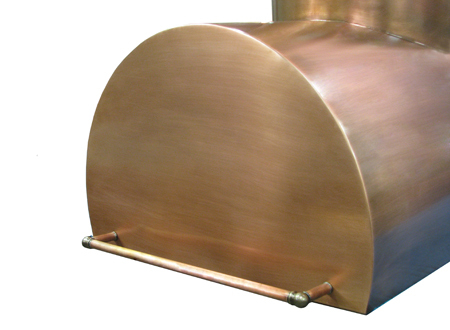 Description: This copper potrack has soft distressing accented with solid hammered copper strapping and rivets. The wire mesh is stainless steel. 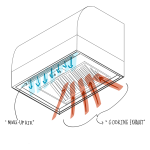 Hook sets are available upon request. 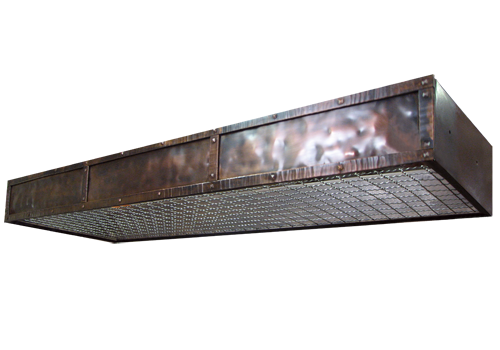 This pot rack matches our Range Hood #13 and also has a farmhouse sink equivalent.